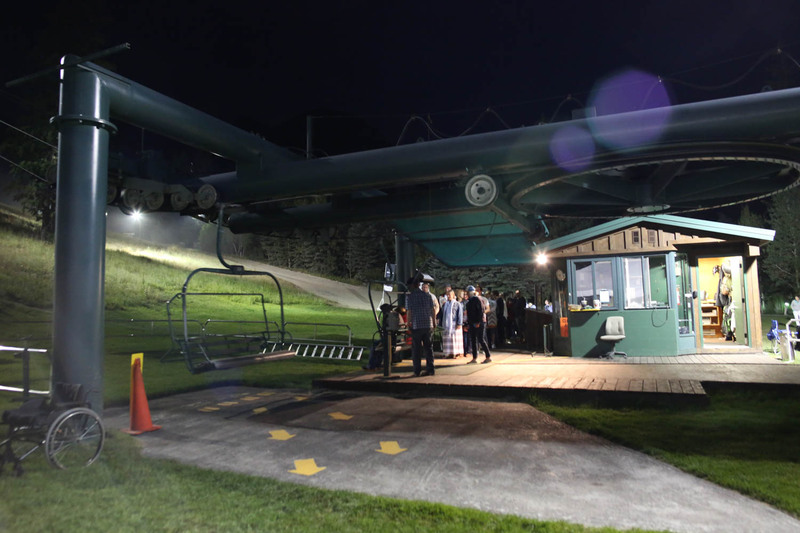 We recently had the opportunity to take a ride on the Sundance Ski Lift at their resort in Provo Canyon, UT. 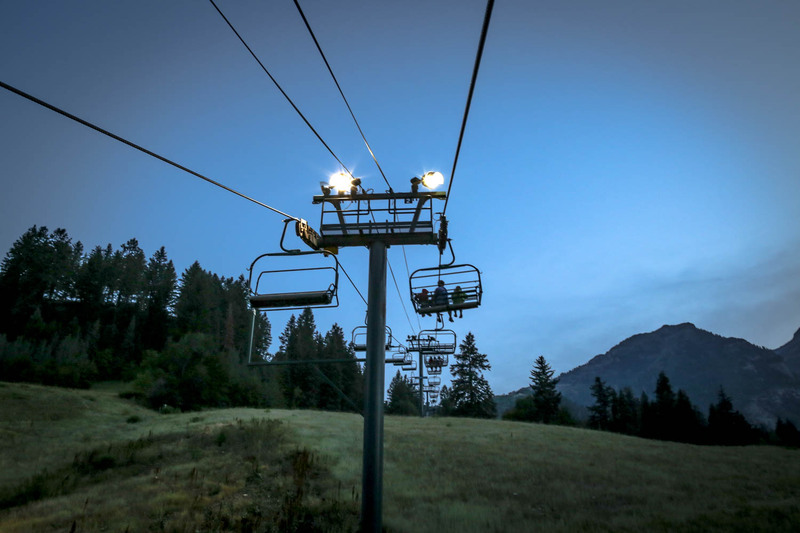 From 8:30-11:00 pm May through October, the resort offers ski lifts at night (usually on weekends that have a full moon). They even offer a special Halloween ride. We went the night before a full moon and it was quite busy! 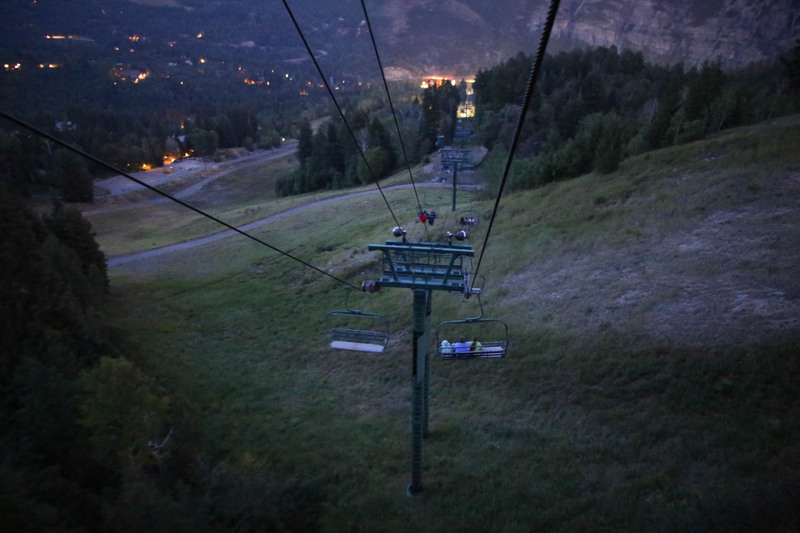 It was a little pricey to participate in the Sundance- Ski Lift (when paying for 6 people) but completely worth it. It’s $15 for adults or $25 for two adult tickets. If you are bringing kids, it’s $13 for children ages 6-12 and children 5 and under were free. However, if you buy a family of four pack, you will only pay $48 and then add on each additional child or adult. So, it was $60 for our family to participate. Initially, I wasn’t happy about spending that much- especially since we were not able to get off at the top to walk around. In the end, it turned out okay. The ride to the top and back down is forty-five minutes long. Along the way, we caught a glimpse of the wildlife that surrounds the slopes. The kids squealed with excitement as we watched at least seven deer feeding below our feet. Also, Sundance was hosting a live performance that night of Fiddler on the Roof. We couldn’t see the action too well, but the audio was crystal clear for about 15 minutes of the adventure. I was surprised at how attentive our kids were to the musical. Our son even begged to get tickets to go see it. Parking can be a bit of a challenge but they have ushers to show you where to park. 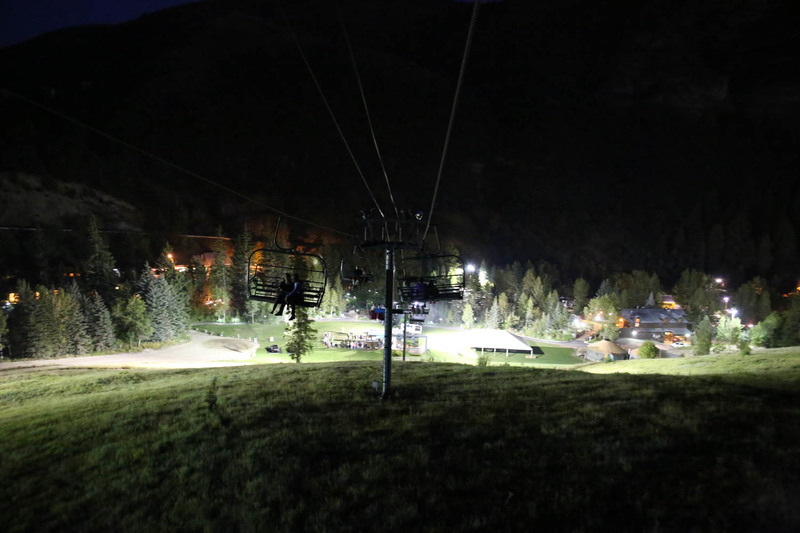 They also provide shuttle buses from the parking lot to the Sundance ski resort lodge. We were able to get on the shuttle right away and it only took about five minutes to get to the resort. It is possible that you could end up waiting about ten or fifteen minutes. 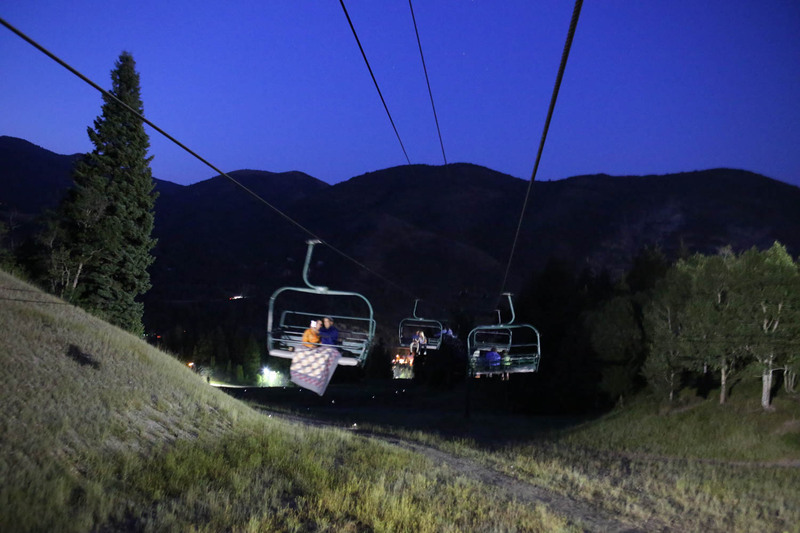 Although the Full Moon Ski Lift event is held during the summer months and early fall, it can get a bit chilly at night. It was approximately 65 degrees while we were there and the kids were cold the entire time. Thankfully, we packed a jacket for everyone. Unfortunately, even though they had jackets, they were still cold. We saw many couples and families bundled up in a blanket. The kids were a little unnerved by the heights but they quickly acclimated to it by looking at other points of interest- mostly the full moon and the valley below. The view really was incredible! My favorite part was coming back down and watching the ski resort come into view. We even laughed and had a great time with our shadows that were cast on the hillside. In short, it was worth the money to bask in the beauty that Provo Canyon has to offer and to reflect on the peaceful adventure. 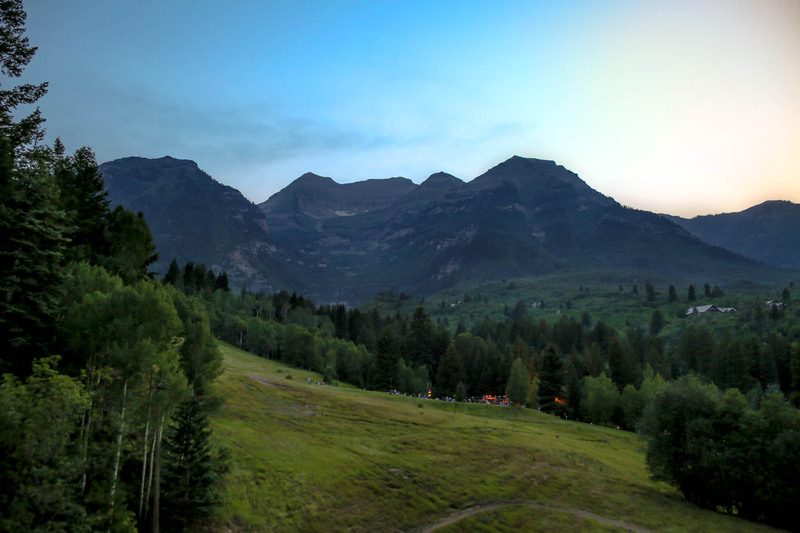 I enjoyed watching the full moon peaking over the mountain tops. 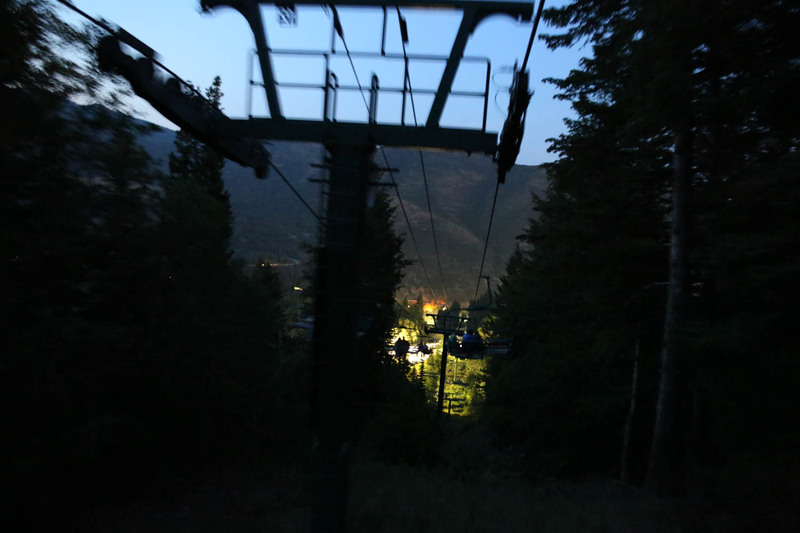 I think the Sundance Ski Lift event was one of our kids’ most favorite activities we’ve done this summer. 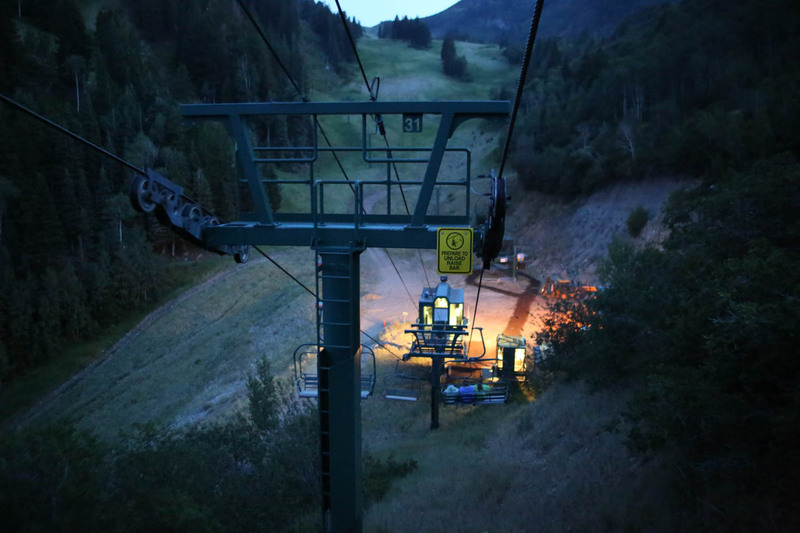 For more information, check out their website at www.sundanceresort.com/explore/sum_lift_rides_fm.html.